Of course you want to hand out organic, Fair Trade, and/or eco-friendly treats this Halloween, but seriously, ethical, healthy and eco-Halloween treats can be expensive. 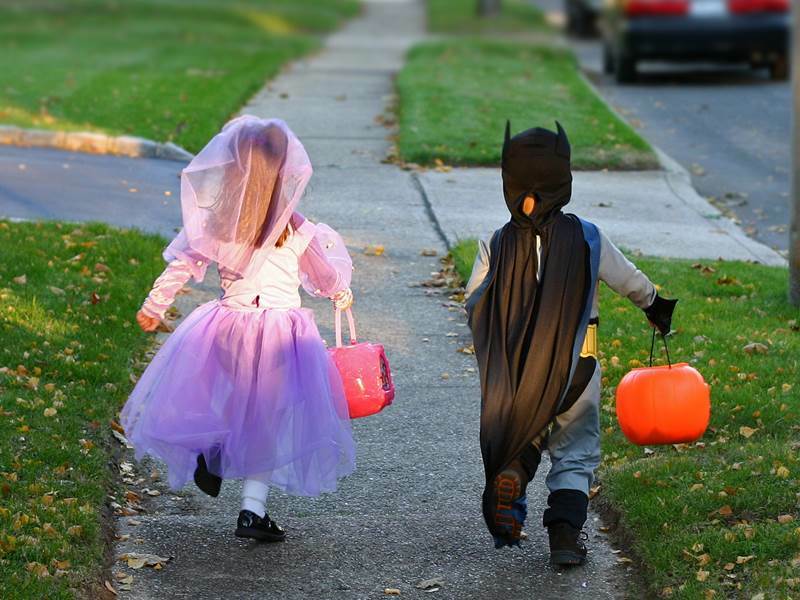 Some eco-friendly trick-or-treat handouts can run as high as a $1.00 per treat or more, equaling $50.00+ if you get a normal amount of trick-or-treaters knocking at your door. This is swell if you have a bottomless pit of cash, but not so swell if you're the average green family trying to stick to a budget. Sure, you go with cheap, traditional Halloween candy but then you're dealing some really unethical and unhealthy practices by the major candy companies, such as forced child labor and the use of artificial flavors and colors. Luckily you don't have to compromise. You can find eco-friendly and ethical treats for less money with just a little searching. In fact, we've rounded up 6 great affordable picks just for you. Keep reading to see some awesome Halloween handouts that are eco-friendly and under 50 cents a pop. If you’d like to hand out something sweet, ethical and eco-friendly, Equal Exchange is one of your best bets. You’re not going to find a more ethical candy for less. 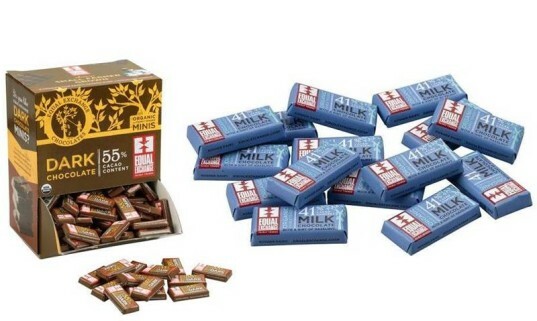 Even with shipping considered, each delicious chocolate treat comes in at just around 30 cents per mini. That’s amazing, because not only are Equal Exchange chocolate minis 100% USDA certified organic but they’re also soy and gluten-free, Kosher Dairy Certified, and made with cocoa grown with care by small farmer Fair Trade co-ops. Plus, the dark chocolates are completely vegan. A box of these comes with 150 minis which is plenty to hand out plus a little extra for you to munch on – it doesn’t get any better! 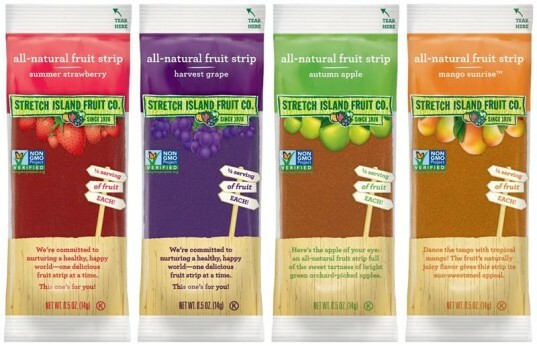 Stretch Island Fruit Leathers are tasty and made with real pure fruit puree. These treats contain 1/2 serving of fruit per serving and have zero added sugar or artificial additives. Recently, Stretch Island Fruit Co. gained Non-GMO Project Verification as well, meaning they’ve shown major commitment to non-GMO food. This treat comes in autumn apple, abundant apricot, orchard cherry, harvest grape, ripened raspberry, and summer strawberry so there are plenty of flavors to please all your little ghosts and goblins. + Stretch Island Fruit Co. 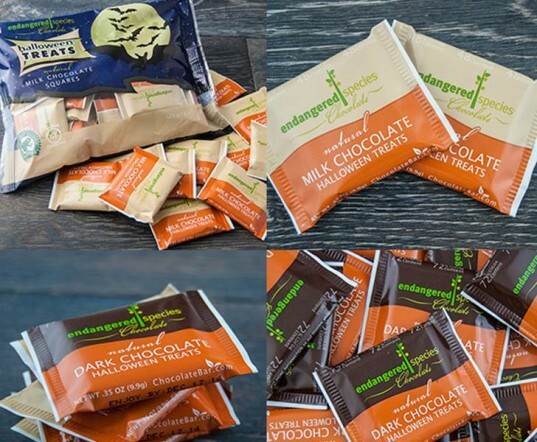 Endangered Species tiny Halloween chocolate squares are all-natural, ethically traded, and certified gluten-free and kosher. The Halloween limited edition packaged candy is available by the bag or bulk and the more you buy the less expensive this treat is. You can get these in dark chocolate which is vegan or natural milk chocolate. 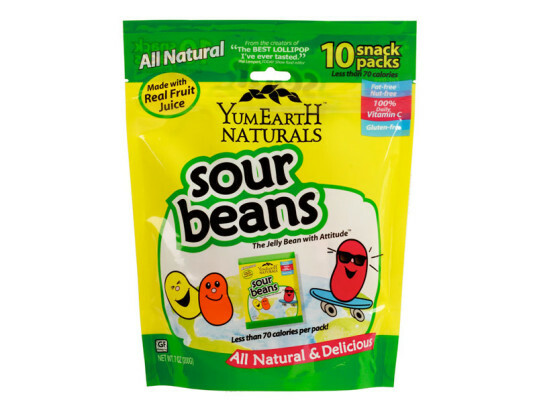 YumEarth Sour Beans will make kiddos pucker up with delight on Halloween. These come in handy little packs for trick-or-treaters and are made with real fruit juice, fruit extracts and other natural ingredients. Each little pack of colorful beans have zero artificial dyes, no MSG and they are dairy-free, gluten-free, fat-free, soy-free, peanut-free and tree-nut free. Bonus, a serving of this candy provides 100% of daily vitamin C and has less than 70 calories. If you like to hand out gum on Halloween, Glee is your best bet. Glee Gum is made with all natural ingredients, including sustainably harvested rainforest chicle. 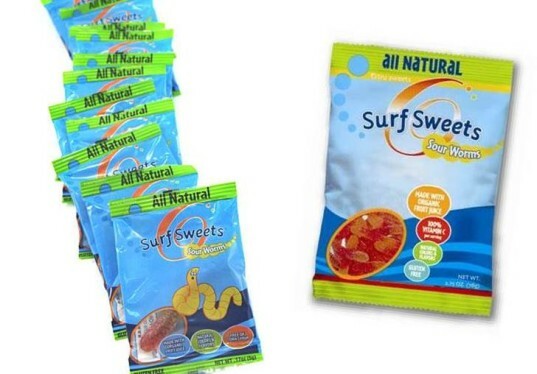 The gum is gluten-free, made in the USA and is super green right down to the the packaging, which is made from cellophane and recycled cardboard. 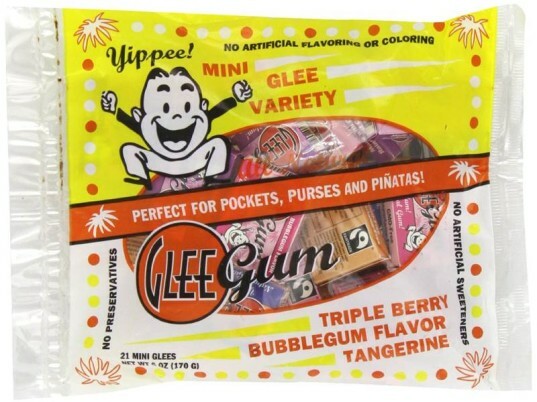 Mini Glee Variety Packs come with an assortment of 21, 4-piece Mini Glee Gum packets in kid-friendly flavors: Tangerine, Triple Berry, and Bubblegum and is super affordable to boot. Surf Sweets little itsy bitsy worm bags contains one USDA certified organic worm, making them perfect to pop into Halloween buckets. Made with good ingredients like organic cane sugar, organic tapioca syrup, organic grape juice concentrate, and all natural flavors and colors, these worms are healthier than your typical gummy worms. The worms are naturally vegan, gluten-free, Non-GMO Project Verified and made in the USA in a nut-free facility. Plus each serving contains 100% of your daily vitamin C.
If you'd like to hand out something sweet, ethical and eco-friendly, Equal Exchange is one of your best bets. You're not going to find a more ethical candy for less. Even with shipping considered, each delicious chocolate treat comes in at just around 30 cents per mini. That's amazing, because not only are Equal Exchange chocolate minis 100% USDA certified organic but they're also soy and gluten-free, Kosher Dairy Certified, and made with cocoa grown with care by small farmer Fair Trade co-ops. Plus, the dark chocolates are completely vegan. A box of these comes with 150 minis which is plenty to hand out plus a little extra for you to munch on - it doesn't get any better! Stretch Island Fruit Leathers are tasty and made with real pure fruit puree. These treats contain 1/2 serving of fruit per serving and have zero added sugar or artificial additives. Recently, Stretch Island Fruit Co. gained Non-GMO Project Verification as well, meaning they've shown major commitment to non-GMO food. This treat comes in autumn apple, abundant apricot, orchard cherry, harvest grape, ripened raspberry, and summer strawberry so there are plenty of flavors to please all your little ghosts and goblins.